Will a fatal accident involving a Tesla semi-autonomous car raise safety concerns over the technology? Plus, we hear how London-based startups are responding to the UK's referendum vote to leave the European Union. We visit the 5GWorld show to discover the coming innovation in wireless networks. And we ask whether India is really about to get a $4 smartphone. Presented by Rory Cellan-Jones, with special guest Gary Stewart from the accelerator Wayra UK, and Jane Wakefield from the BBC Online tech desk. 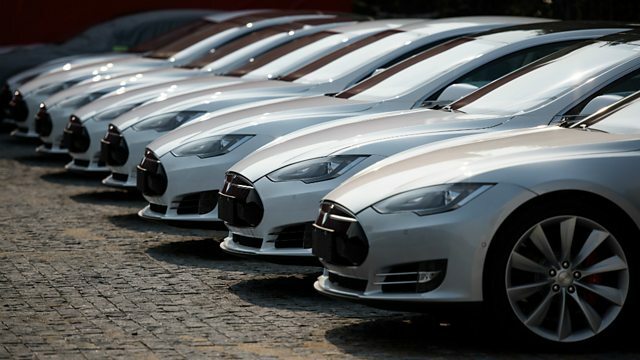 (Image: Line of Tesla cars, Credit: Getty Images).